This trailer will be a familiar site to all who have either visited or are residents of the United States. Built of lightweight materials and making maximum use of space, trailers like these can be seen all over the country either in use as mobile holiday homes or in static parks. 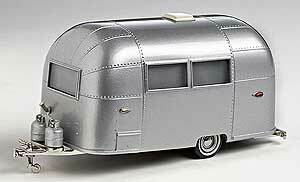 Brooklin Models 1961 Airstream Bambi . 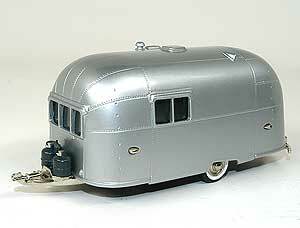 The Bambi was designed to meet the requirements of those who wanted all the traditional Airstream qualities in a smaller trailer. Built to be towed comfortably by the newly introduced American compact cars, the Bambi was an instant success.